My 2017 Reading Challenge @ Goodreads. 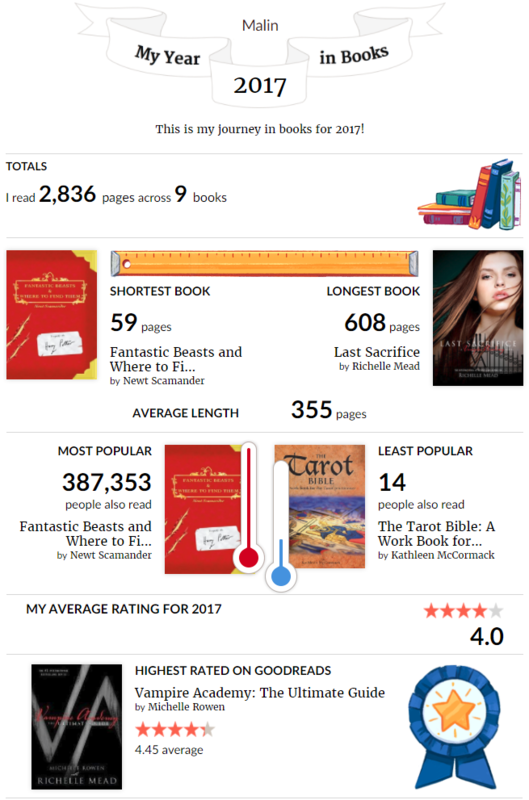 This is the results of my 2017 Read Challenge on Goodreads! Unfortunately, I didn't complete my Reading Challenge in 2017 either. 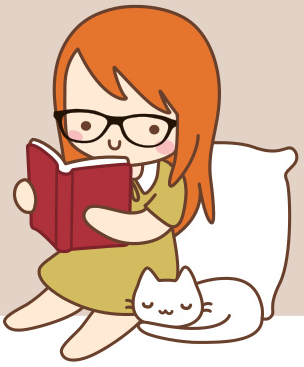 I haven't completed any of my Reading Challenges since 2012, which is just unfortunate. But since I've been doing these Reading Challenges since 2012 I'm not going to stop doing them. For 2018 I'm going to make it easy for myself. The point with the challenges is to actually complete them and read as many books that you've set as a goal, so it's time to change and I'll start by deciding a lower number of books as a goal for 2018. Then I should be able to make it and it's just a plus if I read more books than that. So, in 2018 I want to read at least 12 books which means 1 book per month. Reading at least one book per month feels like something I always should have been doing anyway so hopefully I can do that in 2018 and make it into a tradition for the future. How many books do you want to read in 2018? My past Reading Challenges on Goodreads: 2012, 2013, 2014, 2015, 2016.